Fueled by a wider adoption of mobile learning, microlearning based training has gained momentum in the last 2 years. In this article, I outline why you should adopt a combination of microlearning and mobile learning in 2018. At EI Design, we have been offering learning and performance support solutions for over 16 years now. During these years, we have seen the evolution of formal training from predominantly Instructor Led Training (ILT) to online training or eLearning. Over the last 5 years, we have seen a steady increase in the integration of mobile learning as an integral part of most organizations’ training deliveries. 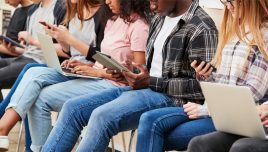 Usage of learners’ smartphones and tablets under Bring Your Own Device (BYOD) policy has helped mobile learning gain further momentum. Increase in the millennial workforce too has contributed to its wider usage. 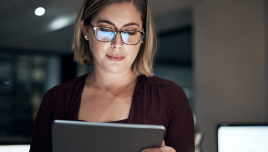 It is interesting to note that while the demand for short, focused training has always been there for learners, the increased mobile learning adoption has facilitated the usage of microlearning as a mainstream training strategy. In this article, I outline why you should adopt the combination of microlearning and mobile learning/mLearning in 2018. Before I outline how you can leverage on the combination of microlearning and mobile learning/mLearning in 2018, let me recap a few highlights and benefits of both. What Is Mobile Learning And What Are Its Key Highlights? It offers access to learning assets anytime and anywhere. It is designed to empower learners. They can choose the pace at which they want to consume the content, and when they want to. Mobile learning features a multi-device support, so the same course is available to the learners across devices (from desktops/laptops to tablets/smartphones). Thereby, it offers learners the flexibility to learn on the device of their choice. While we may be connected to the internet most of the time, we sometimes need the flexibility to learn even when we are offline. Mobile learning solutions also address this need. Mobile learning techniques can be applied to most of the corporate training needs. These include diverse training needs like induction and onboarding, soft skills, professional skills, compliance and so on. Furthermore, mobile learning is a great fit to offer Performance Support Tools that bring in specific learning aids to learners at the moment of their need. 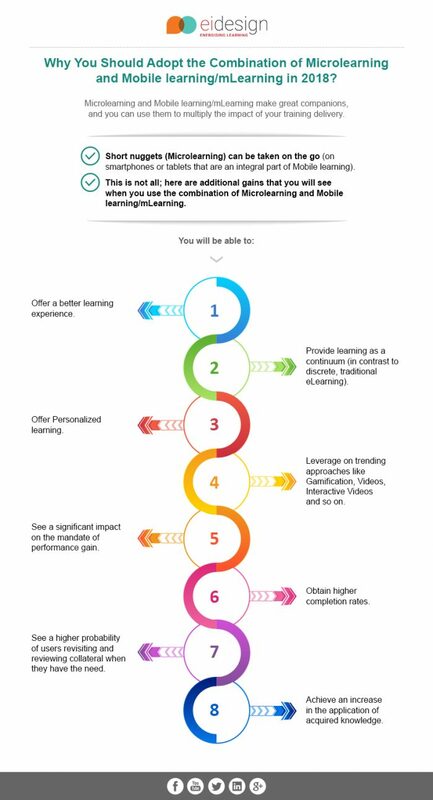 Microlearning, as the name suggests, is a series of short, bite-sized learning nuggets. However, they are not just shortened versions of the traditional eLearning topics (that is, not eLearning lite). They are designed to meet a specific learning outcome. They normally have a short run length (between 2–5 mins and not exceeding 7 mins). Offsetting the challenges of short attention spans. Fit in training on the job. Through a learning path that strings multiple microlearning nuggets. You can use microlearning-based techniques to address most of your corporate training needs. To reinforce formal training, as a just-in-time aid to facilitate the application of acquired knowledge or to meet a specific challenge. 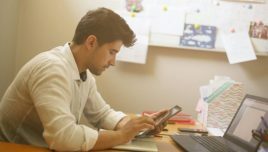 The usage of microlearning-based techniques as PSTs help organizations meet the tougher mandate of performance gain and demonstrate its desired impact on the business. Through a series of nuggets that can support pre-workshop preparation or sustain learning as a continuum once the facilitated session is over. Why Should You Adopt The Combination Of Microlearning And Mobile Learning/mLearning In 2018? Microlearning and mobile learning/mLearning make great companions, and you can use them to multiply the impact of your training delivery. Short nuggets (microlearning) can be taken on the go (on smartphones or tablets that are an integral part of mobile learning). Offer a better learning experience. Provide learning as a continuum (in contrast to discrete, traditional eLearning). Leverage on trending approaches like gamification, videos, interactive videos, and so on. See a significant impact on the mandate of performance gain. See a higher probability of users revisiting and reviewing collateral when they have the need. Achieve an increase in the application of acquired knowledge. I hope this article gives you the required insights on why you should adopt the combination of microlearning and mobile learning/mLearning in 2018. With this combination, you will be able to see more engaged learners and higher impact training. Check out our award-winning solutions and approaches to enhance the impact of your corporate training by booking a free demo/consultation, or you can write to me directly at apandey@eidesign.net.